The Stanley Cup Champion Pittsburgh Penguins released a statement saying they will attend an invitation from President Trump to come to the White House. No date has been announced. NHL.com’s Chris Stevenson writes that Ottawa Senators’ star Erik Karlsson skated with his teammates Saturday for the first time since having surgery to repair torn tendons in his left foot on June 14. The star defenseman wore a light blue non-contact jersey while skating, but did not participate in drills. “It’s a positive thing, but we don’t want to get too excited. It’s a second step,” Senators coach Guy Boucher said. “It’s a positive thing, but we don’t want to get too excited. It’s a second step.” Karlsson is expected to take a couple of days off to see how his ankle responds. No timetable has been set as the Senators regular season starts on Oct. 5. One of the main reasons the Arizona Coyotes made their big offseason trade in which they traded the seventh overall pick in this year’s draft and prospect defenseman Anthony DeAngelo to the New York Rangers was to acquire Derek Stepan. According to Jim Cerny of Sporting News, the Coyotes have high hopes the center will provide much-needed offensive help, but what the team is also looking for is to have him lead their young team. With 515 games of experience under his belt (and 97 more in the playoffs), the 27-year-old already has plenty of experience. And while no captain has been announced, Stepan is among a short list of candidates for it. Arizona has a number of young potential forwards under 23 years, including Clayton Keller, Dylan Strome, Max Domi, Brendan Perlini, Christian Dvorak, Christian Fischer, Anthony Duclair and Lawson Crouse. 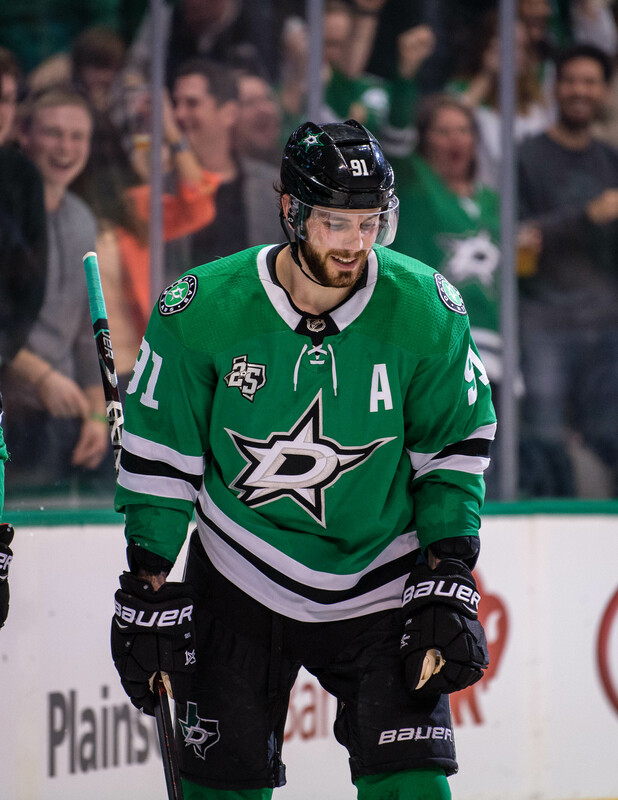 It remains early and there is plenty of training camp remaining, but Sean Shapiro of Wrong Side of the Red Line writes that the Dallas Stars’ defensive pairings could already be close to decided. With four players already locked in, including John Klingberg, Esa Lindell, Dan Hamhuis and Marc Methot, the real battles are for the final two positions. Shapiro writes that based on their play so far and head coach Ken Hitchcock’s comments, it looks like Julius Honka and Stephen Johns are easily in the lead with Jamie Oleksiak and Greg Pateryn both fighting it out for that seventh and final spot on the defense. That would leave Patrik Nemeth out entirely. The Chicago Blackhawks’ Nick Schmaltz could be looking at a position change, according to Mark Lazerus of the Chicago Sun-Times. Having played wing next to Jonathan Toews during his rookie season, the 21-year-old forward is being given an opportunity to center the team’s second-line with Patrick Sharp and Patrick Kane. Lazerus said head coach Joel Quenneville strongly hinted that Schmaltz would take that spot on the second line, which would force Artem Anisimov to the third line. If he gets the job, Schmaltz will have to work on his faceoffs, which was last (30.9 percent) among 210 players who had taken 100 or more faceoffs. According to Quenneville, the second-year forward worked with Sharks center Joe Pavelski over the summer and plans to work with Toews more during camp. Despite a disappointing season a year ago, the Dallas Stars did have some young players who showed some promise. Shore was one of those players. A second-round pick in 2010, the 23-year-old had a decent first year with the Stars, scoring 13 goals and adding 20 assists and playing in all 82 contests. What Shore did not get much of was ice time, as he averaged just 14:08 on the ice. That may change this year as there are many who believe he could be a top-six forward right now. Honka is another player who got a little bit of time with the Stars last year. The 21-year-old defender, their first-round pick from 2014, has already fared well with the AHL’s Texas Stars. He scored seven goals and added 24 assists in 50 games with them and got 16 games with Dallas at the end of the year and picked up five points. He is a likely candidate to make the team this year. That’s a long list, but the team really has few major worries about re-signing free agents next season. Lehtonen was a buyout candidate this offseason after the team had too many goaltenders. Instead, they held onto him to be their backup, but at $5.9MM, that’s an expensive backup who played 59 games and had a save percentage of .902. The team will rejoice at their salary cap savings next season. As for Hamhuis, the 34-year-old blueliner will need to have a big year if he wants another contract. The 27-year-old Roussel is a different story. Everything depends on how he plays, but Dallas would like to see more offense than 12 goals from him to go with his 115 penalty minutes he picked up last year. The same holds true for Oleksiak, although he will be a restricted free agent, but the 24-year-old defenseman must show he can win a full-time job. He only managed 41 games last year. Johns, however, will likely be retained next year. He managed to get into 61 games last year and currently expected to make the team. This will be where the Stars must make some key decisions. Seguin will be their top target as re-signing their star will be essential. The 25-year-old center forced his way out of Boston and landed in Dallas where is career really took off. He has put up 133 goals in four seasons and even though he had a bit of a down year last year (26 goals), everyone did. He should move back to center this year under coach Ken Hitchcock and is expected to have a big year, despite having shoulder surgery. He is expected back for training camp. Spezza, on the other hand, will be 36 when his contract expires and his numbers have been declining for the last few years. At $7.5MM, there are many better ways to improve this team than his 15 goals and 35 assists. No one is quite sure what Methot will do in Dallas. Acquired from the Vegas Golden Knights after the expansion draft, Methot is a very good defensive player, but injuries have stood in his way – often freak injuries like the finger slash. He has never once in his career played an 82-game season and he’s 32. He played 68 games last year, so the stars are hoping for a big season from him despite his expensive price tag. Lindell was signed to a two-year extension just this offseason. The 23-year-old got into 73 games in his first full season with the Stars. He had a quiet, but solid season for Dallas and should be part of their long-term future. Ritchie is also a commodity the Stars will want to lock up in two years. His first full season produced 16 goals. Along with his 6-foot-3 size and his speed, he is a candidate for a breakout season this year. After the team will be forced to pay up for players like Seguin, Lindell and Ritchie, the team won’t have as much to spend one year later. Hanzal, who just signed a three-year deal with Dallas this offseason, is already 30 years old. Will he be worth bringing back in three years? It will depend on his success over the next three years, but if they can get 20 goals like he put up this last year between Arizona and Minnesota, perhaps they would. Faksa will be a restricted free agent, but like Ritchie, could be in line for a big season this year. The 23-year-old had 12 goals and 33 points this past year and is already praised for his defensive play. Once his offensive skills catch up, he should put up good numbers. Pitlick is more of an unknown. Signed from Edmonton this summer, the 25-year-old had eight goals in 31 games, but has never been able to crack the Oilers’ lineup. He hopes to get that chance this year. 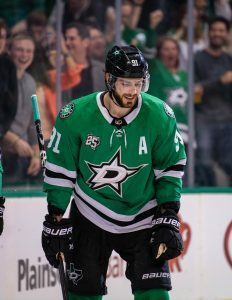 The team has only a handful of long-term contracts, starting with Benn, who had a 41-goal season in the 2015-16 season and was rewarded with an eight-year extension at $9.5MM. Unfortunately, he put up only 26 goals last year, the first year in the deal. However, there is the general belief that the 28-year-old will bounce back and put up another big season like he had the three years before. Expect those numbers to also go up with this year’s big free agent acquisition in Radulov. The former Canadiens wing came over from the KHL last year and put up an 18-goal season and is likely to team up with Benn this season. The 31-year-old is expected to put up big numbers, but will he be worth the contract when he is in his mid-thirties? Bishop is another one of the team’s big acquisitions after the Stars acquired him from the Los Angeles Kings and signed him to a six year deal for 4.92MM per year. He dominated for many years with the Tampa Bay Lightning, but became expendable to the Lightning and later to the Kings who traded for him at the deadline this year. But despite a slightly down year, Bishop should be able to produce with his 2.32 career GAA. 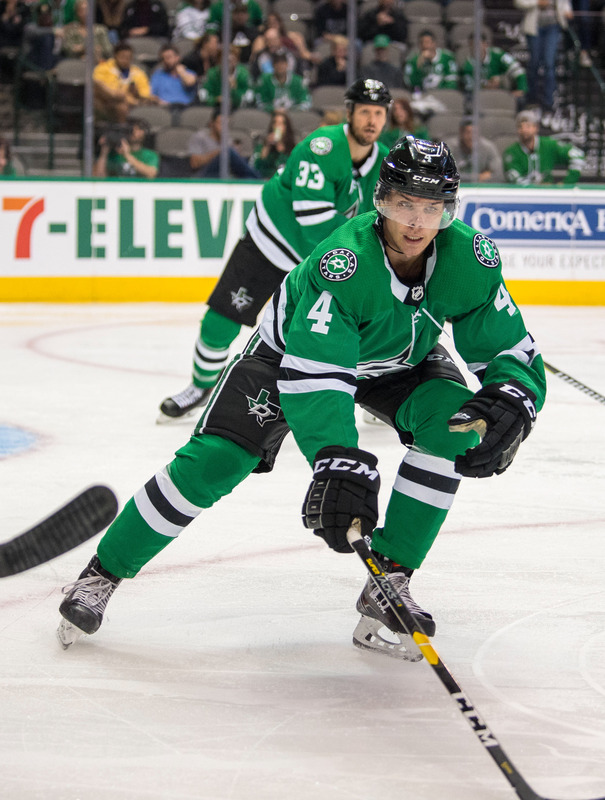 Klingberg is also a key piece to the Stars puzzle. The 25-year-old blueliner has been the team’s star on defense, putting up 13 goals and 49 points last season. His deal almost looks like a bargain at $4.25MM. After a extremely disappointing season that saw them go from a team that reached the second round of the playoffs to a team that placed sixth in the Central Divison, the Stars went out and spent some money. They picked up Hanzal, Radulov and traded and signed Bishop all for big money. They have quite a bit of youth that are mixed in to their veteran players and if those players emerge, the Stars should be able to easily get back into the playoff mix. Obviously, the need to make sure they retain Seguin, but with an influx of defenseman like Klingberg, Lindell, Honka and 2017 third-overall pick Miro Heiskanen, the team should be ready to move on from some of their veteran defenders. The team also has high hopes they can eventually bring back 2014 first-rounder Valeri Nichushkin, who left the organization a year ago to play in the KHL. All in all, the Stars should be in good shape for the future.